Have Biafrans Forgotten The Killings By Obiano In Ozubulu? 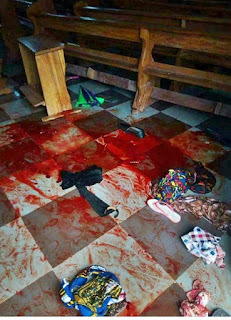 THE OZUBULU CHURCH MASSACRE; HAVE WE SUDDENLY FORGOTTEN? 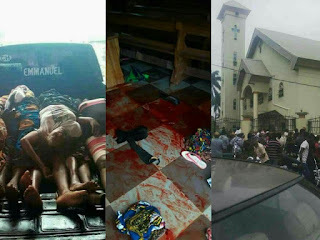 It's over two months since innocent worshippers at St.Philips Catholic Church, Ozubulu, Ekwusigo local govt area of Anambra state, were visited with death right inside the church by unknown gunman. Less than 2hours after the church massacre, the Nigerian police and the govt of Anambra state released a statement where they both boldly claimed that the Church killing was a fallout of a business feud between two sons of the same Ozubulu community where the massacre took place. We were regaled with tales of how one Mr Aloysius a.k.a "Bishop" who reportedly built the church, was a drug baron. We were made to believe that the said Bishop defrauded another son of Ozubulu in a business deal forcing this aggrieved business partner of his to send assassins to murder innocent worshippers at the church. 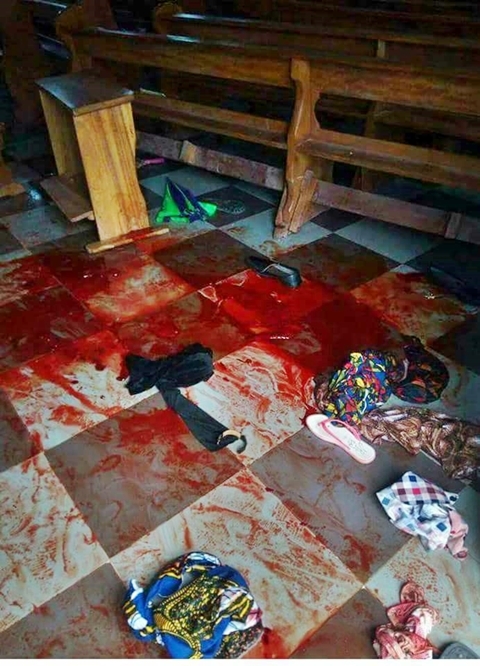 What is the connection between alleged drug deal in a foreign country and the gruesome killing of innocent worshippers in a church in the sleepy town of Ozubulu? No one has been able to answer this question. We were told that a rival drug gang came all the way from Mandela country to kill "Bishop" but ended up killing worshippers when they couldn't find their target. And you wonder why men smart enough to dodge security with drug would be clueless enough to fly all the way to Nigeria, down to Ozubulu and enter a church WITHOUT MAKING SURE THEIR TARGET WAS INSIDE. 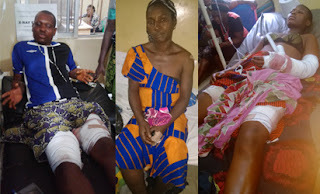 In a bid to sell their narrative, The Police declared with magisterial finality that the assassins spoke in Igbo language all through the attack. In a video account of the tragedy, the Priest who officiated the ill-fated Mass, Reverend Father Jude Onwuaso, stated that the killing was done by a lone gunman dressed in black with a face cap and that THE GUNMAN DIDN'T UTTER A WORD. Between the priest who was a witness and the Nigerian Police, who should we believe?? I remember stating categorically that there was no way the Nigerian police that I know could have carried out any meaningful investigation into such a multiple murder case and came up with any reliable finding WITHIN JUST 2 HOURS in Nigeria where there is no central data base. WHAT WAS THAT CLUE THAT CONNECTED THAT CHURCH MASSACRE TO A DRUG FEUD? WHAT IS THE NAME OF THE OTHER OZUBULU SON WHOSE FEUD WITH ALOYSIUS a.k.a BISHOP SUPPOSEDLY LED TO THE CHURCH KILLING? Neither the police nor the state govt has been able to answer the above 2 questions. On its own, the police has not made any significant effort in prosecuting the case, almost 3 months since that sacrilege. A betting man would bet that the Police may no longer know the location of the case file and as it happens, I am a betting man. 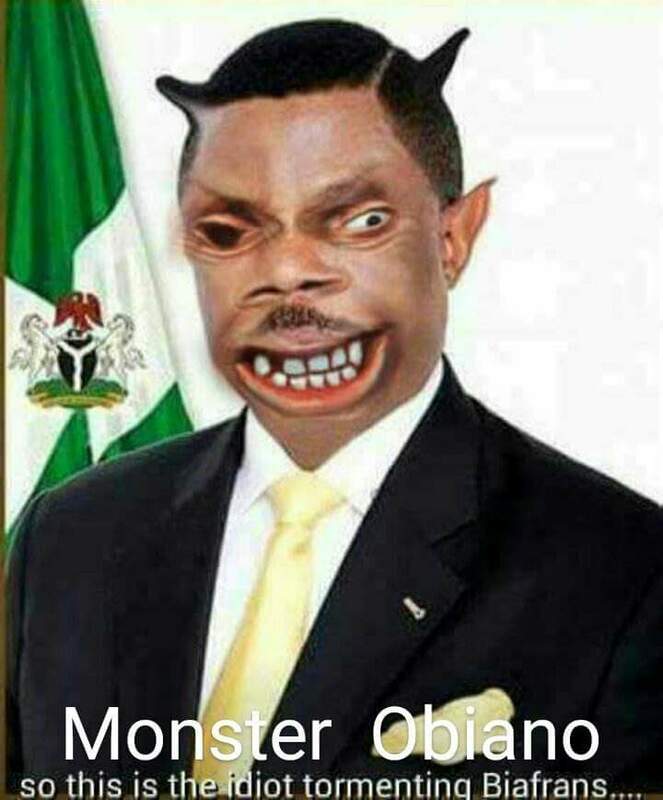 Why have they refused to either arrest the other Ozubulu man who supposedly masterminded this multiple "Murder In The Cathedral" or declare him wanted?? Even if we must lie to ourselves, we must not start believing our own lies. The Ozubulu festival of death has more questions than answers. The Police has proven it is more interested in peddling a narrative of Ndigbo killing themselves than it is in carrying out thorough investigation and gifting the victims with justice. Anambra governor only wanted to get the damn thing over with and move on with his re-election campaign. The masses seemed more at home with the street gossip of who is a drug dealer than the more important question of who is behind the forceful re-union of those worshippers with their maker. The Ozubulu Church harvest of death remains a huge moral sacrilege. Our collective failure to press for justice for the victims almost 3 months after, is to our collective shame!